Sunny Hill School, GA Hwy. 124, 1911; school was torn down in 1958. Suwanee School, 1901, Suwanee, GA.
Luxomni School, 1913-14, east of Lilburn. Glenn School, 1909, Rockbridge Road, near Centerville. Duncan's Creek School, 1921-22, Buford. 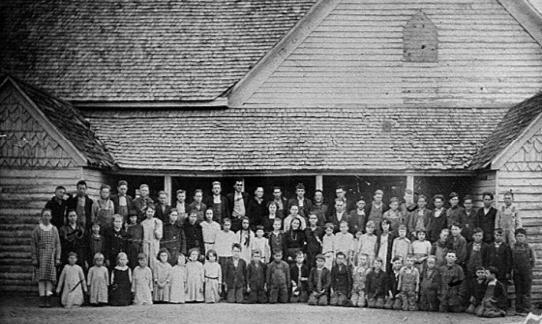 Beaver Ruin Academy, east of Norcross, 1908. Beaver Ruin Adademy, east of Norcross, 1896. Luxomni School, 1910, east of Lilburn, building burned down in 1911.